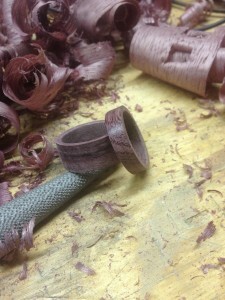 Finally this woodworking thing is starting to payoff! It’s no secret some wives love jewelry, and Samantha is no different. Sometimes the request for a specific piece isn’t very subtle either…although…it’s been quite a while since a heavily dog-eared Tiffany’s catalog(s) were scattered all over my shop. This year, Sam asked for something completely different. 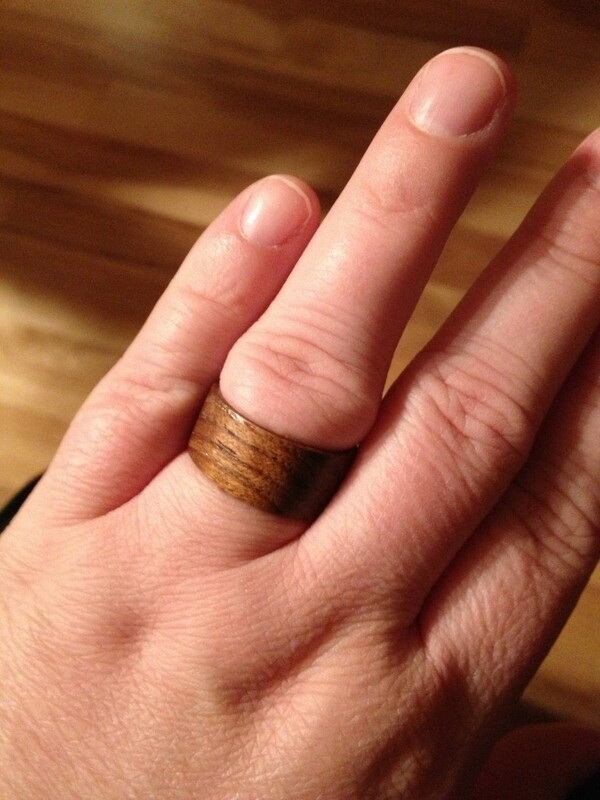 Rather than placing an order online and then worrying about whether next day delivery is REALLY “NEXT DAY” I finally listened to her and headed down to the shop to try my hand at making a wooden ring or two. The final result…not too bad if you ask me! These first few attempts didn’t take long at all and in less than an hour, I had something special to slip on her finger to remind her how much I love her. Please help my fundraiser to reach it’s new goal!